What I find so striking about this story is how self-evidently normal the opposite situation is: Christian and/or “Western” scholars studying Islam and/or the “East.” An interrogation–or even any awareness–of these assumptions seems not to have taken place during the course of the interview. This makes it all the more ironic, given that this practice is something critical to the academic study of religion. It’s what J.Z. Smith, pulling from Shklovsky, refers to as “defamiliarization–making the familiar seem strange in order to enhance our perception of the familiar” (Smith 1982, xiii). This is something I work to accomplish in my classroom every semester. No, that headline is not photoshopped. 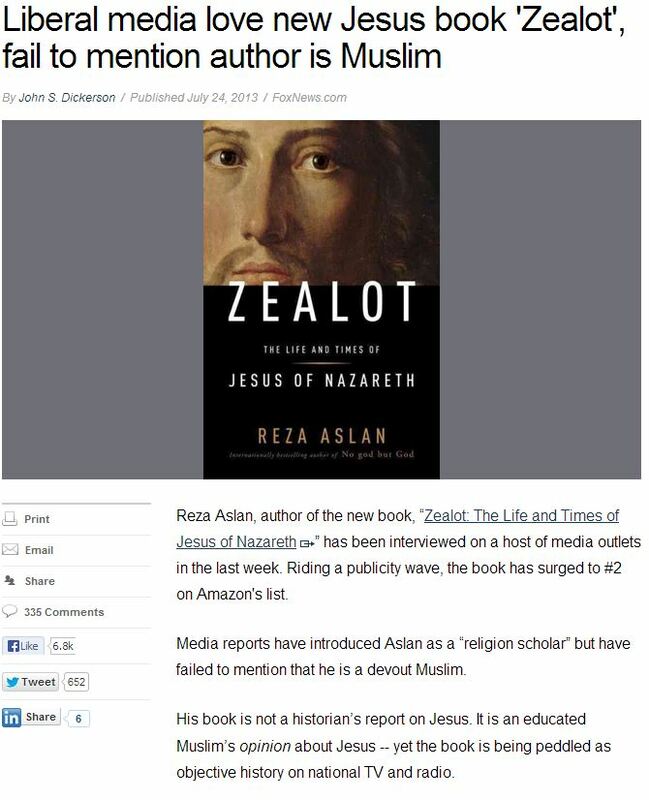 The whole article is worth reading, especially for the way in which it delegitimates Aslan without having to explain why, say, a Muslim couldn’t write a decent history of Christianity. The scare quotes around “religion scholar,” and the presumed mutual exclusivity of being both a scholar and a Muslim, speak volumes. As Edward Said wrote over three decades ago, “I have been arguing that “the Orient” is itself a constituted entity, and that the notion that there are geographical spaces with indigenous, radically “different” inhabitants who can be defined on the basis of some religion, culture, or racial essence proper to that geographical space is equally a highly debatable idea” (Said 1978, 322). The essentializing discourses problematized in Orientalism live on.